This is a great quick and easy meal for weeknights. I love peanut sauces on stir frys and this is one of my favourites. 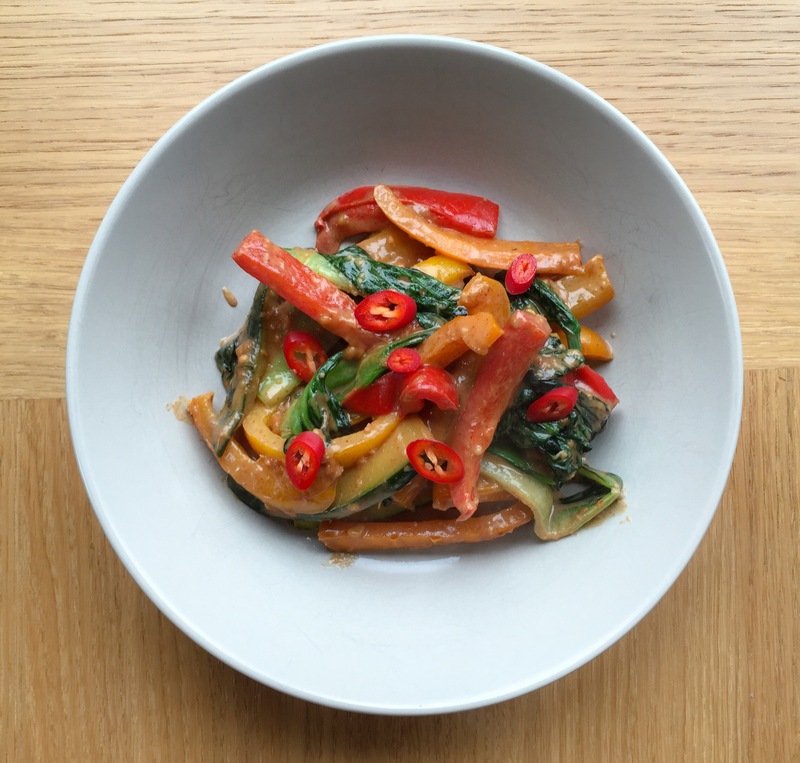 The vegetables can be changed to your favourite stir fry vegetables. The pak choi in our garden have been growing really well so there will be lots of stir frys on the menu in the coming weeks. I love how homemade stir frys can be easily changed to have seasonal vegetables in, currently lots of pak choi, in spring we used a lot of purple sprouting broccoli. 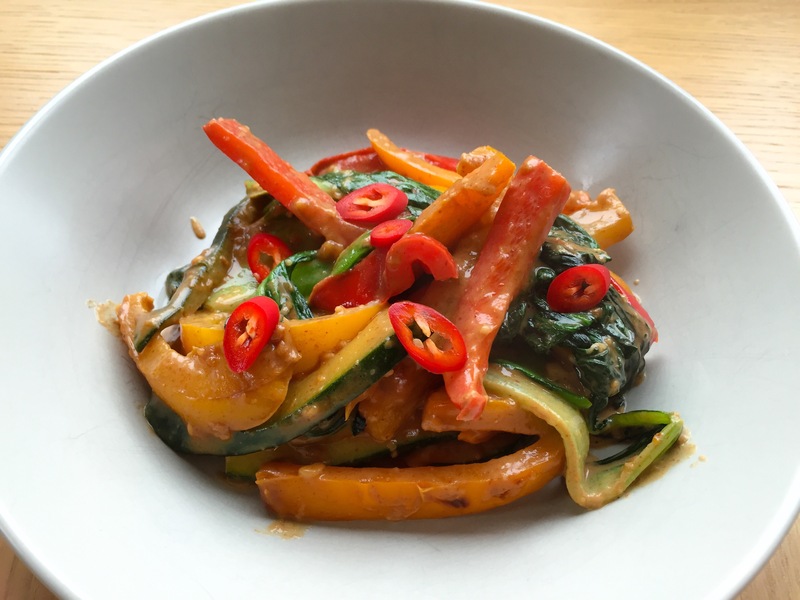 Vegetable stir frys are a great ways to pack a lot of vegetables into your meal. Homemade sauces are brilliant as they aren’t greasy and you know exactly what goes into them. This one is great for a vegetable stir fry as it adds protein to the meal from the peanut butter. You can adjust the heat in this, I like a lot so slice extra chillies on top as I know my family don’t like it too spicy. It is a very quick and easy meal to make, just mix the sauce, stir fry the vegetables and eat! I enjoy this with either rice or noodles, if I have it with noodles I add them to the wok and cover them in the sauce too. This week I finally made a facebook page for my blog. I’ll be sharing my recipes on it and also making some exciting announcements so if you want to “like” it I’d love to see all of you there! In a jug add the peanut butter, chilli, lime juice, garlic, ginger, honey, soy sauce and water then mix until everything is combined. In a wok heat your favourite stir fry oil (I like coconut oil), add the peppers and courgettes and cook until they have started to soften, roughly 4-6 minutes. Add the pak choi and cook for a further minute or until the leaves have wilted. Pour the sauce on top, heat through, then serve!